The file Living_City v.1.8 is a modification for Watch Dogs, a(n) action game. Download for free. 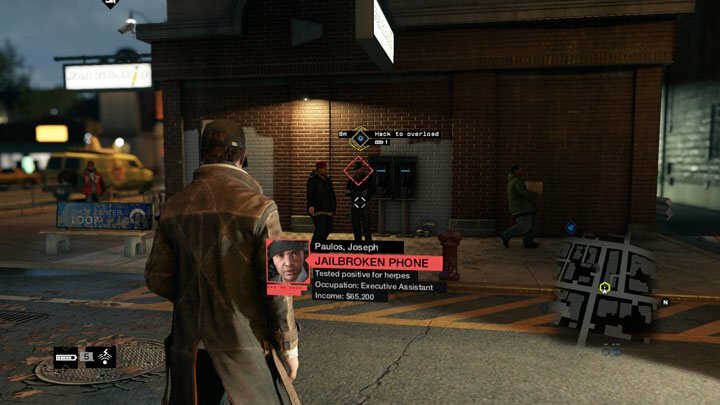 Living_City to is a mod for Watch Dogs, created by The_Silver. This mod improves and expands the gameplay of the base game with custom missions, random events and new features, which will provide many hours of fun. - RESTRICTED_AREAS are red zones patrolled by guards and always active in freeroam where trespassing is prohibited just like you've seen in the campaign missions. - UNLOCKED_INTERIORS are interior locations that you were able to visit only once during the campaign but that are now always open and explorable at any time. - RANDOM_EVENTS are events that spontaneously happens in the game world around you offering new gameplay opportunities that you're free to engage at will. - CIVILIAN_HACKS are new interesting hacks that you can perform on the generic civilians around the city after you profiled them besides the vanilla hacks. - AMBUSH_CHANCE is a restored cut feature where hackers breached the fixer contracts so enemies can set up fake contracts to ambush you at contact points. - REPLACE_SCAN disables the yellow disk scan resulting from a 911 call and replaces it with a police search where cops actually comes to investigate the scene. - ctOS_CHAOS allows the Chicago Police Force to use some ctOS hacks like bollards and bridges against you as an extreme measure on the highest difficulty chases. - FIRST_LOAD improves the first load of the game providing randomized weather and time of the day, a vehicle nearby if missing, and "out-from-phone" intro camera. - LIMITED_INVENTORY limits the weapons you can carry to only 1 for each weapon slot, you can swap them at gunshops or by picking them up from dead enemies. Also thanks to an easily editable configuration file you can tweak many of these features as you want, finetuning or even completely disabling them. Unpack the 3 files patch.dat and patch.fat and Living_City_MOD_CONFIG.txt from this archive to your "data_win64" game folder. Be sure to overwrite the files patch.dat and patch.fat when asked. The config file Living_City_MOD_CONFIG.txt is optional. You can safely install this mod if you have the Bad Blood DLC and/or the latest patch v1.06.329 however due to compatibility issues the mod is disabled in the Bad Blood DLC to avoid bugs.